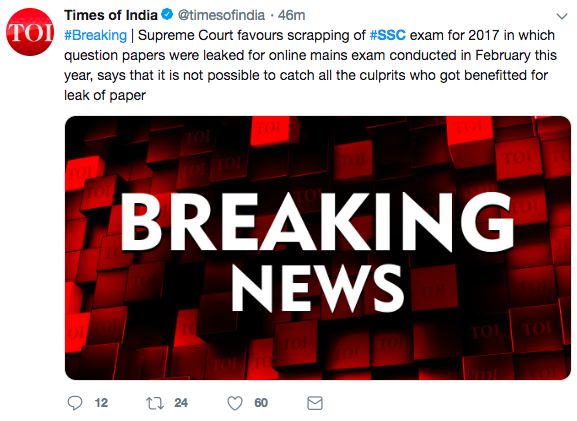 SC in favor of quashing #SSC exam. Says too difficult to determine and ascertain how many culprits took benefit of malpractices. Asks Centre's response on this. Says exam should be conducted afresh. Please Note, this is NOT THE FINAL VERDICT, but SC is highly inclined into this opinion. Whether CGL 2017 will be scrapped from tier-1 or tier-2 or not scrapped will be decided later.